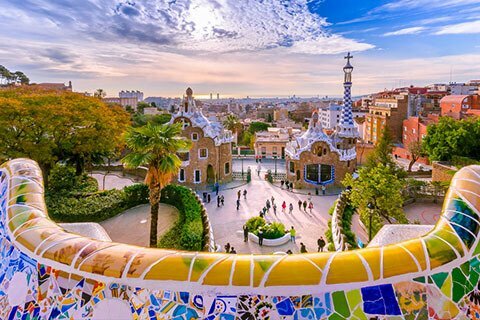 Travelsphere's escorted tours will take you to some of the most amazing places in the world, their itineraries are packed full of destinations to explore and allow you to discover hidden gems. Travelsphere ensure that every trip is unique as their tour managers share their extensive knowledge and take care of all your needs, leaving you free to enjoy every minute of your holiday. We have a fantastic selection of Travelsphere holidays available. 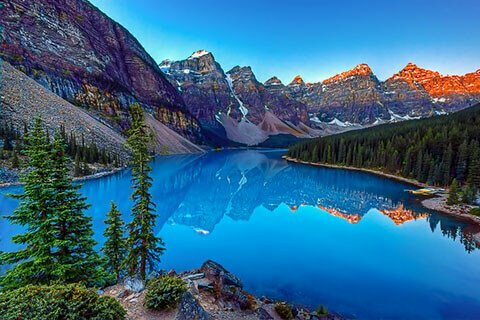 Whatever your travel interests are, an amazing Canada will reveal so many sides of America that will delight you. China holidays are now at the very top of many travellers' wish list. 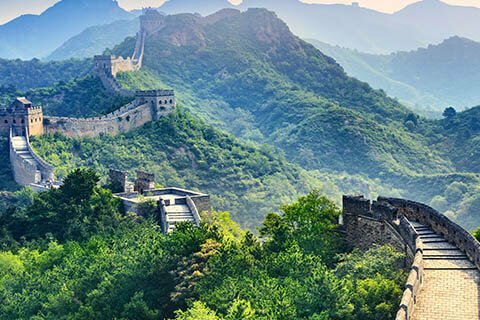 Thousands of years of history behind it and full of iconic sites, China is a must for all. Ancient ruins, sun-kissed beaches and snow-capped mountains give Europe a diversity of landscape and culture that no other continent can match. With 50 years' experience in escorting their customers to exciting destinations across the globe, Travelsphere know you want more than just a holiday, you want an experience to remember. By choosing a Travelsphere escorted holiday you can travel with confidence, knowing that every aspect of your holiday has been carefully planned and arranged from start to finish. Their thorough planning of travel arrangements, itineraries and accommodation before you reach your destination, and the unique insight of their knowledgeable Tour Managers and Local Guides while you are away will enable you to experience the culture, traditions and hidden away places less accessible to other travellers. You can journey all over the world with Travelsphere - from Europe to Oceania there are so many exciting destinations to explore. And they are always on the lookout for new places for you to visit, so if there's somewhere you long to see, and they don't go there yet, let us know then watch this space! You also have a huge choice when it comes to the type of holiday you can experience. On their touring holidays, in addition to seeing the iconic must-see sights, you'll also be taken off the beaten track to enjoy experiences no guidebook can provide. Or if you prefer a more laid-back holiday, perhaps their relaxing resort-based holidays are more for you. If you enjoy train travel, why not take one of their exciting rail journeys. If cruising is more your style, their selection includes everything from gentle river cruises to a trip in the lap of luxury aboard the elegant Queen Mary 2. You will find they've included so much in the price of your holiday. As well as all the things you'd expect, such as flights, transfers and accommodation, they also include many meals, and itineraries crafted to show you the best your destination has to offer. Also included are Travelsphere Tour Managers and/or Local Guides, whose dedication and local knowledge will ensure you experience even more. They have gained valuable insight and knowledge during their 50 years in the travel industry and this helps us to design the best possible holidays for you. Their professional team helps you every step of the way, from creating each itinerary, answering any questions you have, guiding you through your booking and ensuring you see the very best your destination has to offer. Travelsphere has more than 50 years' experience in operating top-quality holidays, so you can always book with confidence. They're ATOL-bonded and a member of ABTA, which means your money, your holiday and your flights will be safe, whatever happens in the world.